When you are in need of a plumbing contractor that you can trust, select the professionals W H Plumbing Heating & Air Conditioning. Our technicians have completed high-quality professional work for many years, and we stand by our service and workmanship, and that is our promise to you. W H Plumbing Heating & Air Conditioning offers fast, exceptional plumbing and drain services for local residents and the surrounding area. Knowing how important it is to make sure that your plumbing systems are working properly is our top concern. With years of experience, we are ready to assess the damage and provide a professional solution to all your plumbing emergencies or needs. A plumbing problem occurs at the most inconvenient times so we keep ourselves ready to take your call and can provide same day service. Many of the older homes definitely see its share of flooded basements and other plumbing problems, which is why we offer first-rate drain and pump services. Many old buildings have their original plumbing, and that can be a cause of major issues. With our copper repiping services you can avoid costly and inconvenient problems in the future. Contact us first for our specialized knowledge and for professional service that you can trust. Our technicians always consider your property as your highest investment and such treat it with respect. Our licensed technicians have been certified and come highly qualified in their field of service. We believe in getting the job done right the first time, so you can return to your life as quickly as possible. 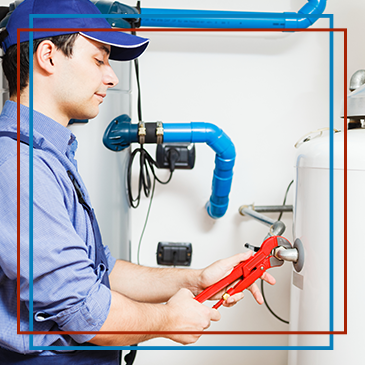 We are always here to take care of all your plumbing issues and providing you with outstanding customer service.